It’s what Wesley and Buttercup had: Tru Wuv. 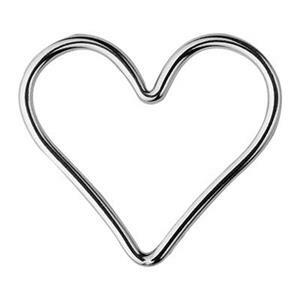 To help celebrate them and all the other great love stories out there – we have the S1115 – a bright Sterling Silver 15.9x13.9mm 19 gauge heart link. Two separate halves making a whole. A pure and simple little piece for your jewelry making inspiration to link two hearts together.